Whole milk adds a surprising amount of fat to your morning coffee. If you need a cup of coffee to jump-start your day, you might be pleased to know that coffee itself is a low-calorie drink that even offers some health benefits. 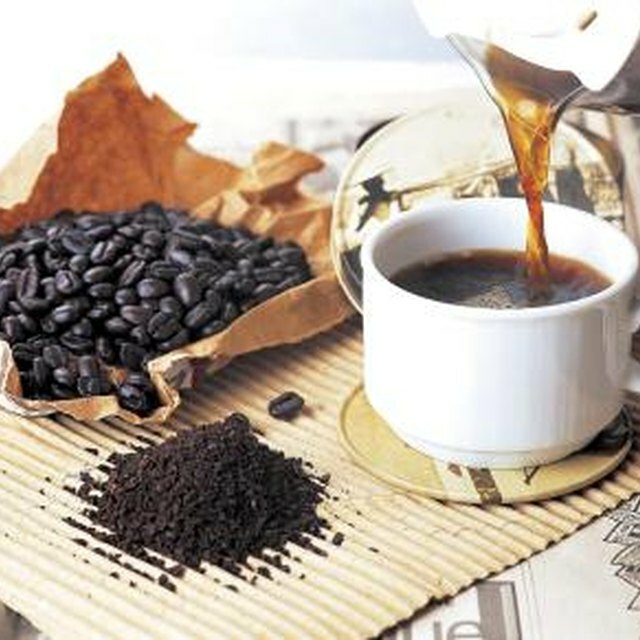 If you are not a fan of black coffee, however, you might also be adding extra calories and saturated fat to your diet. While whole milk is not the worst offender, you should monitor how much you put into your coffee. A cup of black coffee, when fresh brewed with tap water, contains only 2 calories. While it has little in the way of vitamins and minerals, it also contains virtually no fat and no sugar or carbohydrates. Even a little whole milk will change that cup of coffee's profile significantly, however. A single tablespoon of whole milk adds 9 calories, 0.5 g of fat and just under a gram of sugar. If you prefer your coffee light -- in color, that is, not in fat -- and add a half a cup of milk, you're adding 74 calories, about 6 g of sugar and 4 g of fat, more than half of which is saturated. While a small amount of whole milk in your coffee isn't exactly a diet-buster, the saturated fat content can be problematic if you drink several cups per day or go heavy on the milk. Too much saturated fat raises your cholesterol levels, boosting your risk of heart attack and stroke. The American Heart Association recommends limiting your daily saturated fat intake to about 7 percent of the total calories you consume daily, about 16 g if your daily diet is 2,000 calories. If you drank two cups of coffee in the morning, with 1/4 cup of whole milk in each, you would be about an eighth of the way to your daily limit of saturated fat before you took your first bite of breakfast. If you add sugar or flavored syrups, a la flavored coffeehouse coffees, you will be adding even more empty calories to what once was a low-calorie treat. Substitute skim milk instead of whole milk for your coffee, and you'll not only cut the amount of calories you are adding approximately in half, but you also will completely eliminate saturated fat from your coffee. It still will provide milk's nutritional goodies, such as vitamin D and calcium. Likewise, 1 percent or 2 percent milk is better nutritionally than whole milk, but remember that the percent refers to the level of milk fat. Whole milk is about 3.75 percent milk fat, so 2 percent milk has more than half the saturated fat of whole milk, and 1 percent has a little more than a quarter. Half-and-half, on the other hand, adds twice the calories and about three times the fat of whole milk to your coffee. A cup of coffee contains 95 mg of caffeine. While a few cups a day will not cause long-term health problems, too much caffeine can cause problems, including insomnia, headaches and irregular heart rhythms. Caffeine also temporarily boosts your blood pressure, but generally does not cause long-term blood pressure problems. Coffee also might provide some health benefits as well, such as making you less likely to contract certain types of cancer, diabetes, gallstones and Parkinson's disease, according to the Harvard Medical School.